Venturing away from their beginnings, but staying true to their brand, Gourmet linked up Black Scale to craft a special edition of the lux yet casual 35 Lite. Bearing a retro running silhouette and cloaked in a shredded leather overcoat, the added texture brings an unorthodox simplicity to the multiple panels. 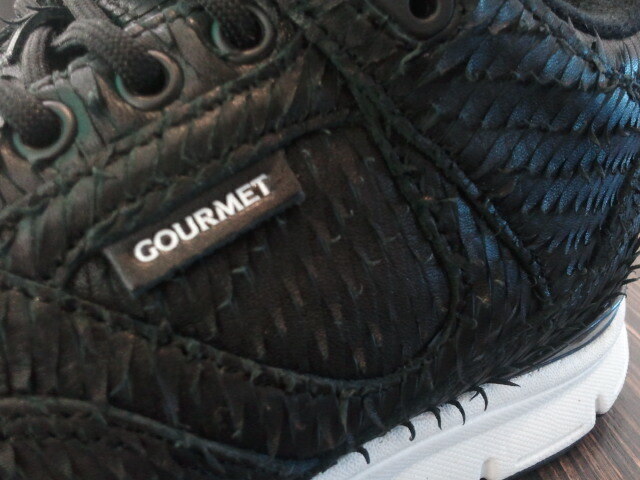 Black Scale branding appears on the genuine leather tongue tab with Gourmet branding featured on the side panels. Available now. Hey everyone, the one that gets up early. Catches the Rare RESTOCKS at PRIVATE. If you miss out the first time on this all Italian leather collaboration. This is your chance to get you a pair for the collection.